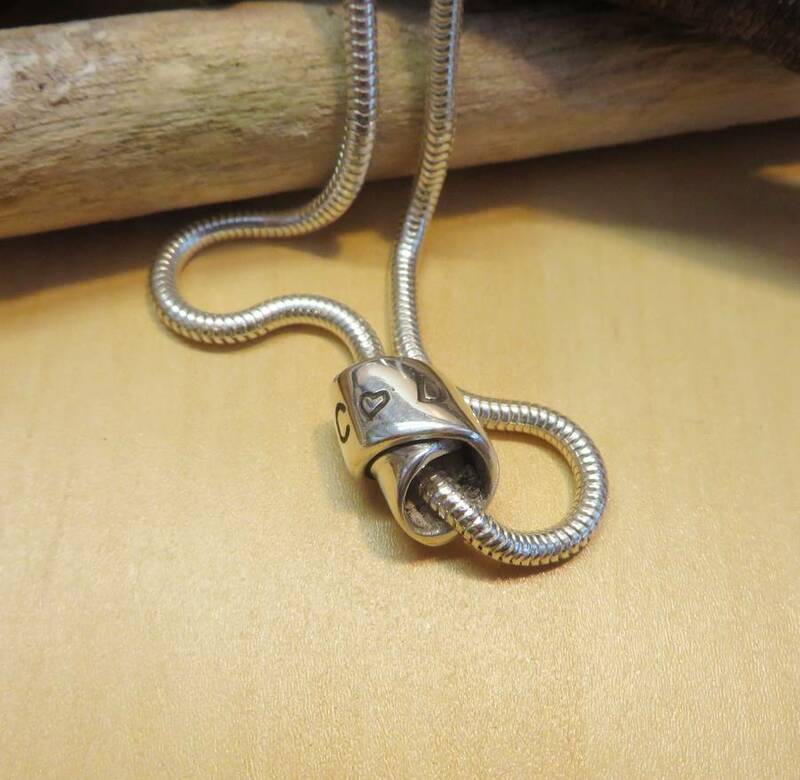 A handcrafted silver infinity knot, personalised with your initial/s.This lovely knot is our interpretation of the iconic endless knot found in many cultures. 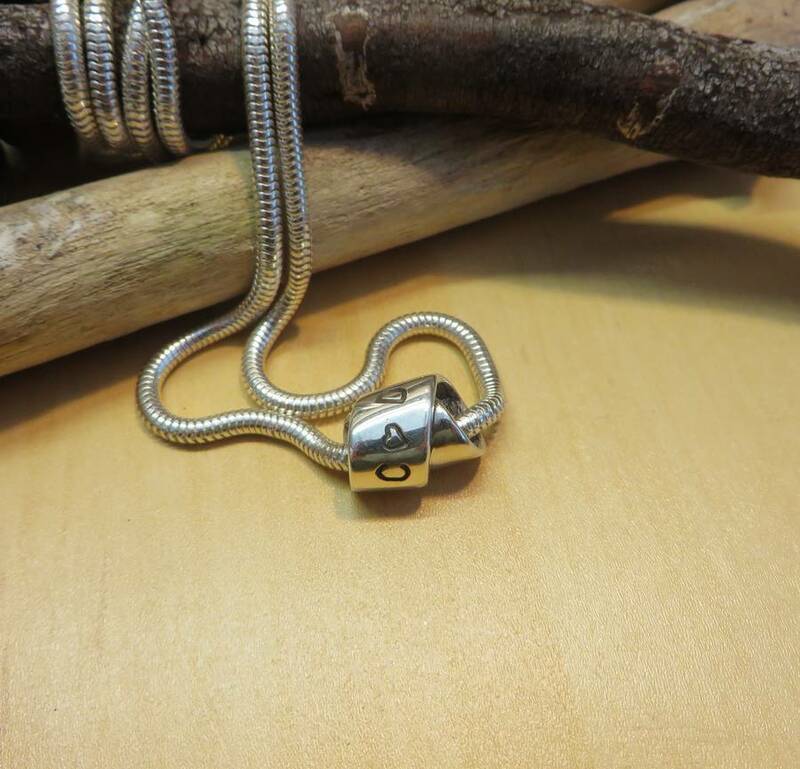 The silver is carefully woven into a seamless 3 dimensional figure of eight, having no beginning and no end, and strung onto a sturdy 3mm thick stirling silver snake chain necklace. 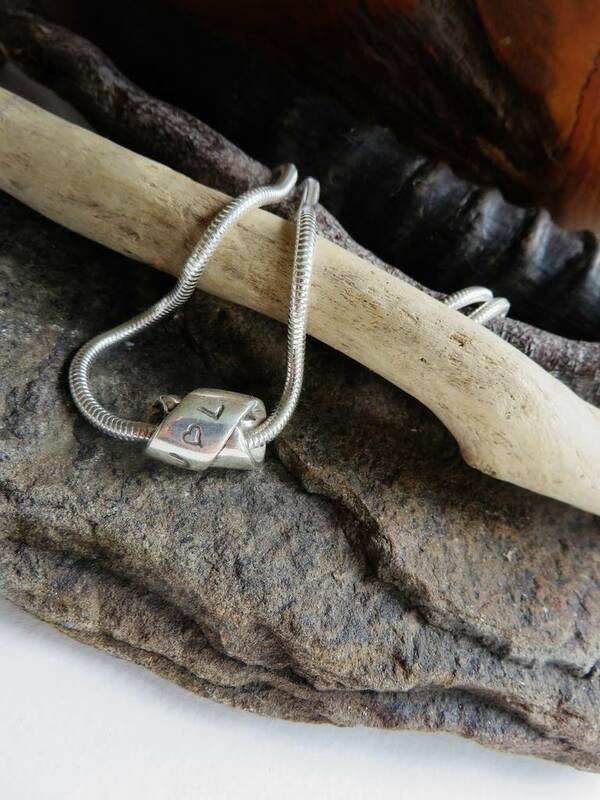 Each knot is Individually handcrafted from .999 Precious metal silver clay, a very pure form of silver. 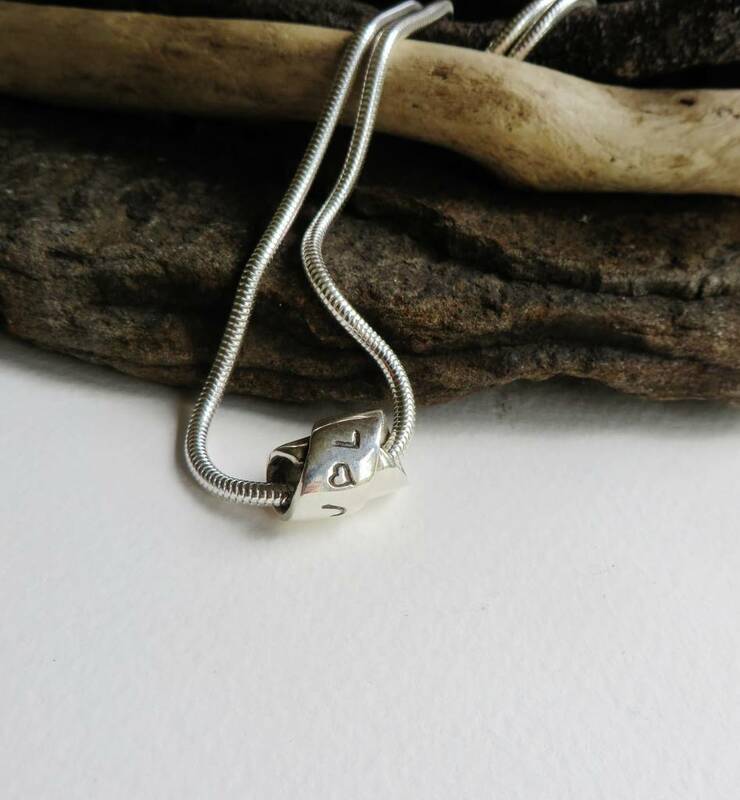 Specially made for people who appreciate unusual and original design.A perfect gift to celebrate an anniversary, birth, wedding or to mark a special event or occasion.For individuals, couples, partners and soulmates! 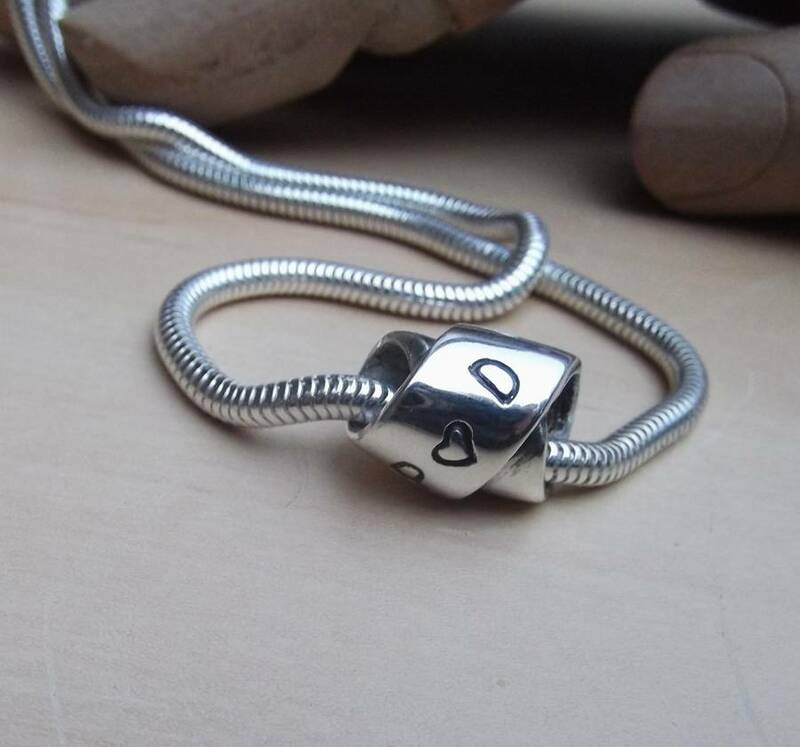 Two or three letters/numbers stamped horizontally across the knot (see photos, all letters are in upper case)There is also the very popular option of two initials with a very small heart stamped between.An '&' sign could be used instead of the heart, or a small star, but please contact us if you would like these symbols.Small irregularities are an inherent part of the handstamping process, adding authenticity. 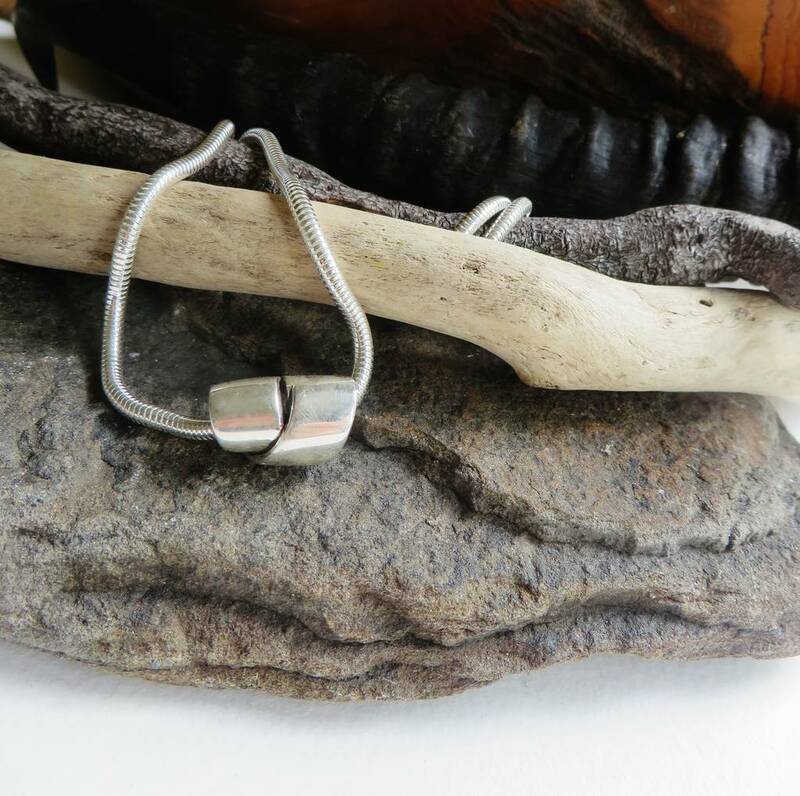 The knot has an Artisan quality and feel. Presented tissue wrapped in a drawstring sack. NB Personalised products can not be exchanged or refunded. FREE 1st class tracked post. Silver knot aprox 15mm wide 6mm internal diameter. 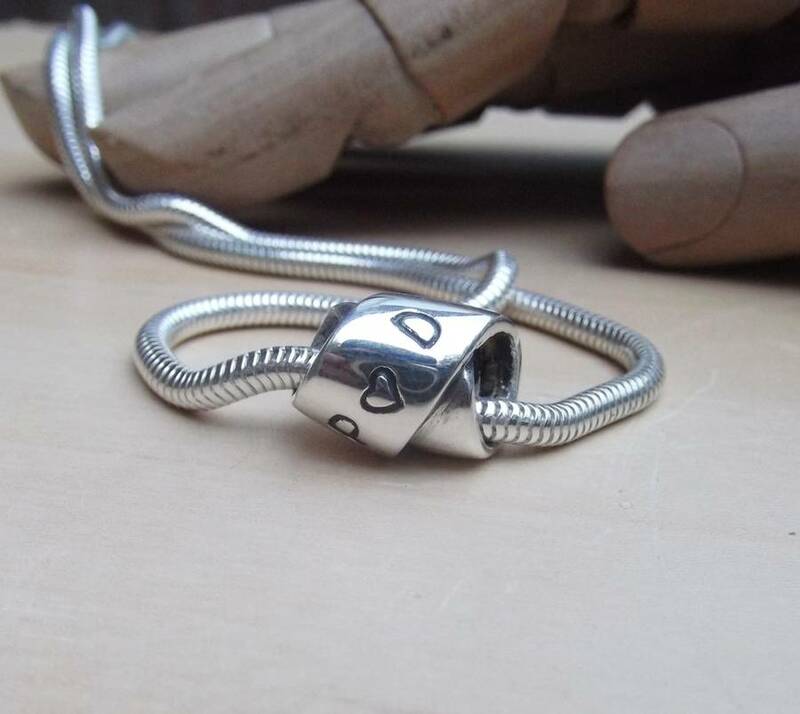 As each knot is individually made ther are slight variations in size and shape, making it even more unique. Silver chain length 20" /50cm. 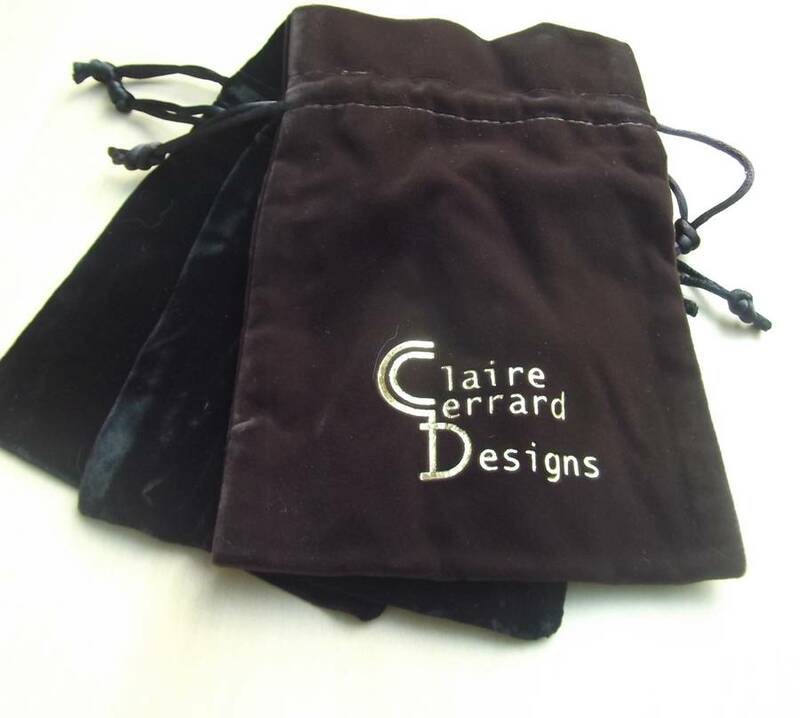 This product is dispatched to you by Claire Gerrard Designs.